Air pressure is often measured by using a container which has had some of the air removed from it. This container expands or contacts as the weight of the atmosphere pressing on it decreases or increases. This change in size is used to move a pointer. Two of the instruments below have this working on show. 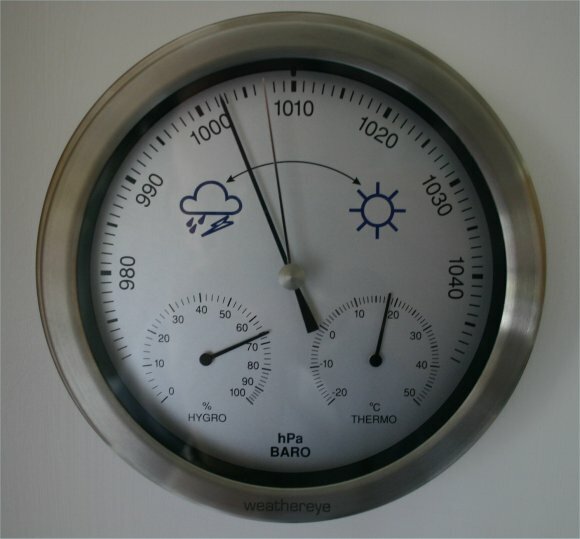 Air pressure readings are used in weather forecasting. You might like to record air pressure over a period of time and record the weather over the next day. After recording this data for a while a pattern might appear which means the air pressure could be used for forecasting the weather. When you have finished reading about this you may want to return to the Air Pressure page or the Collecting Data page. You might also like to have a go at the Air Pressure Quiz. Air Pressure can be recorded continuously using digital instruments but it can also be recorded using a paper chart which rotates. 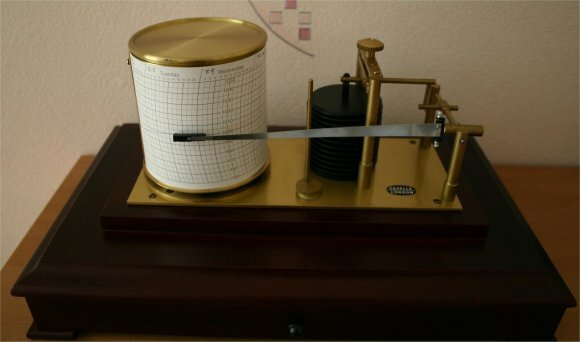 The drum on this barograph takes one week to rotate. A pen draws a line on the chart to show the rise and fall of the air pressure. The arm is connected to a special container which responds to changes in air pressure. This barograph has had its cover removed so that is can be seen clearly. 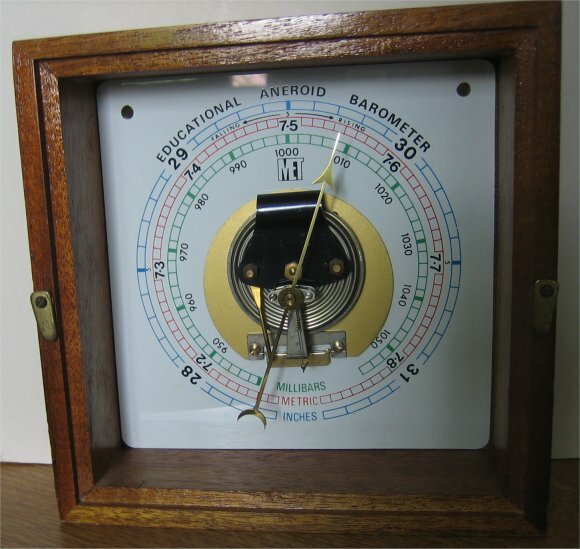 This barometer has been designed so that the workings can be seen. There are also several different scales. This barometer has two other instruments included on it. It also measures the temperature and the humidity. These are readings of the inside temperature as barometers are kept indoors.